In the summer of 1995, Greek Creations President and Founder Wade Lewis was an undergraduate at the University of Nebraska at Omaha. He was also a member of the Pi Kappa Alpha Fraternity. This experience gave him the idea to change how college Fraternity and Sorority members purchased gifts and apparel. 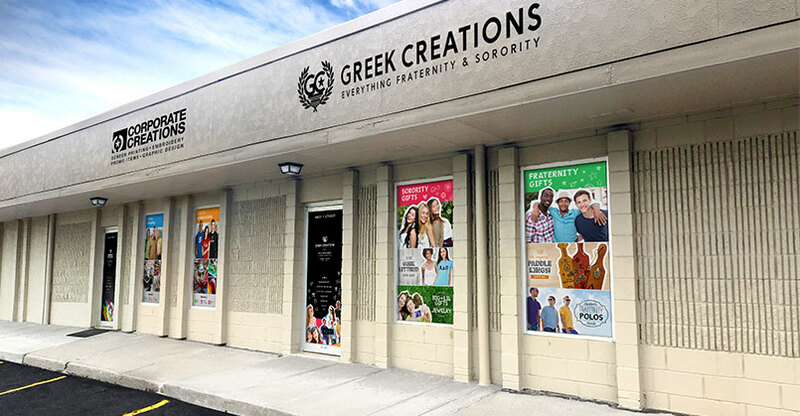 Wade then started the company Greek Creations, which has grown to become one of the largest suppliers of college Fraternity and Sorority merchandise in the country. Simply put, we love everything Fraternity and Sorority. Our mission is to offer the finest quality imprinted Greek merchandise in the industry, while exceeding your expectations in value, customer service, creativity, and reliability. Contact us today and see for yourself why Greek Creations is America's number one Greek retailer. "Awesome place, got my SLG decal from them! long lasting too!" "Great designs, service, and support. I can always depend on them." "Best customer service ever! Definitely made my day!" "I was happy with the product and prices, but extremely impressed by the customer service and friendly attitude." "Wide selection, amazing results, fast shipping! Prices are affordable and great quality!"